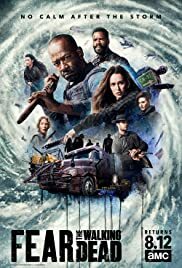 Having a story before the apocalypse it's interesting as a concept and definitely worth watching, but what we get in FTWD is a meaningless plot that cannot carry itself into the apocalypse because it's pointless. All we saw are some characters that I personally disliked and cannot relate to, that defy all logic and reason with their actions. Another problem is the content, more like lack of content in the pilot, with a lot of filler shots that add nothing to the current story. You can easily skip the first 45 minutes without missing anything. A pilot is a pilot for a reason and its main purpose is to create a good impression, which FTWD failed to deliver. Maybe a 2-hour premiere would have been better. However I am enthusiastic about what's in store for the rest of the plot, even though I'm a bit skeptical since I believe that this season is wrapped and ready for broadcast without the possibility of changes in its structure. 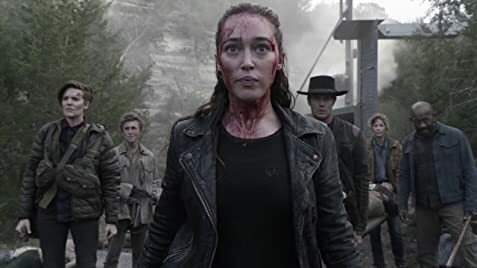 Let's not forget that zombies are not trending very much these days and if the show wants to build notoriety, it has to do much better than the pilot. For comparison, I think that the original TWD's pilot humiliated this one. Time will tell if we're gonna fear the walking dead or be bored to tears by the walking dead. 200 of 379 people found this review helpful. Was this review helpful to you?